From Madonna to Deepak Chopra, celebrities have been recording and embracing Rumi's poetry for the past two decades, creating a resurgence of interest in this 14th century Sufi mystic. 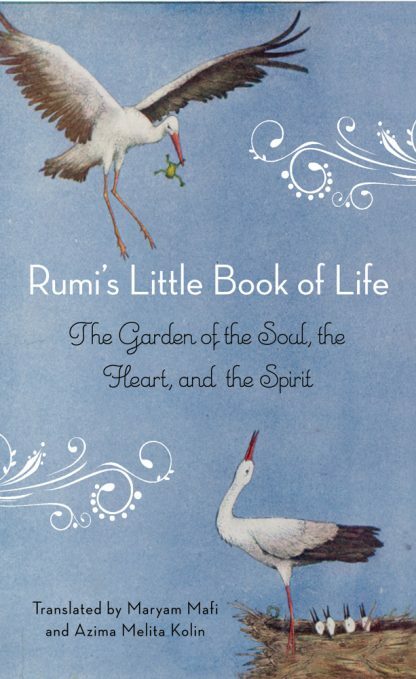 Rumi's Little Book of Life is a beautiful collection of 196 poems by Rumi, previously unavailable in English. Translated by native Persian speakers, Maryam Mafi and Azima Melita Kolin, this collection will appeal to Rumi lovers everywhere. This collection of mystical poetry focuses on one of life's core issues: coming to grips with the inner life. During the course of life, each of us is engaged on an inner journey. Rumi's Little Book of Life is a guidebook for that journey. The poetry is a companion for those who consciously enter the inner world to explore the gardens within--out of the everyday "world of dust"--through an ascending hierarchy that restores one's soul to the heart; the heart of the spirit; and in finding spirit, transcending all.